When a water heater bursts, the cause is not always apparent. A malfunctioning thermostat could cause the heating element to overheat the water, making the volume inside of the tank too much for the seams to hold, or a fitting may have corroded, causing a major leak. No matter the cause of the problem, however, you need to act quickly to prevent further damage to your home. 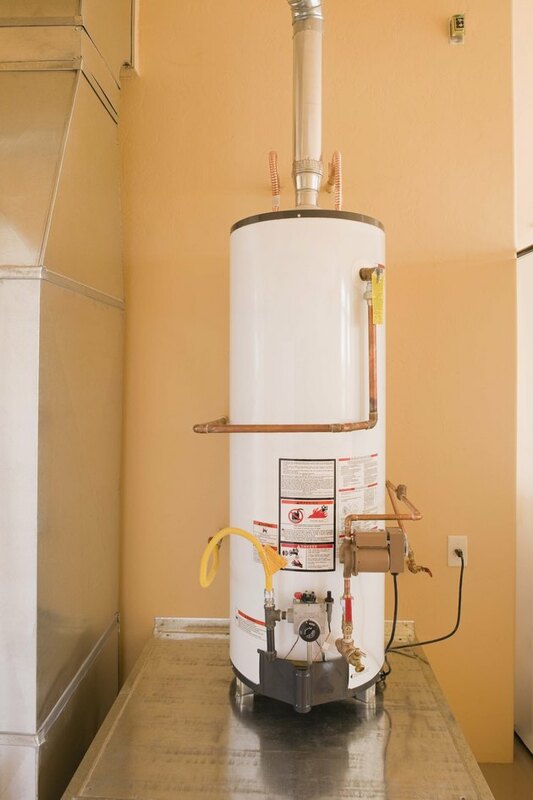 Move quickly to disable a burst hot water heater. Locate the cold water supply pipe. This pipe leads from the main water line into the top of the water heater. When working properly, the water stops flowing when the tank is full, but because of the burst, the tank pushes the water out into the room as soon as it comes in from the pipe. Turn off the cold water supply line by twisting the valve clockwise until it cannot turn anymore. This will stop the flow of water that continues to fill the hot water heater and spill out from the burst seams. The electric or gas heating element can pose a new hazard to your home if it continues to run. It can stay heated long after the water has leaked from the tank. This can waste energy and in the worst-case scenario, start a fire. The heating element normally shuts itself off after the water reaches a certain temperature, but if your tank burst because of a faulty thermostat, it probably will not shut itself off. Locate and flip the breaker for the hot water tank in your electrical breaker box. 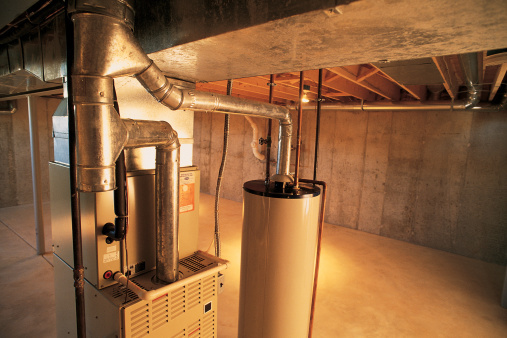 If the hot water heater is gas-powered, shut off the gas line leading to it, and vacate the home until the natural gas smell is completely gone. Remove any undamaged furniture, boxes or other salvageable items from the water-damaged area. Take photos of the items that are damaged; as well as the walls, floors and other fixtures that are covered or soaked with water. The photos will help your homeowner's insurance company determine the cost to repair or replace the items. Use a wet/dry vacuum to remove the standing water from the area around the tank and any carpeted areas where the water has seeped. Run a dehumidifier, if you have one, to inhibit the growth of mold. Contact your insurance agent or company to make a claim. Even if you do not think that you have suffered a loss, the insurance company will likely send out a team of restoration experts to draw the excess moisture from your walls and flooring. Do not throw away your hot water tank. The insurance adjuster will need to see it to determine the cause of the burst and whether the company will pay for damages that the burst caused.The cost of the water heater itself is not likely to be covered, but nearly anything else that was damaged by the water will be covered, less your deductible. An insurance adjuster will visit your home to assess the damage. Show the adjuster the photos you took, and answer any questions she may have.